Getting funds for your business could be a daunting task if the business in question is new. It is easier to secure funds other than business loan in such cases. And if you have a strong personal credit history, you have a greater chance of loan approval. So, if a business loan does not work for you, you need not to worry, as there is always a personal loan available if you wish to get your company off the ground. 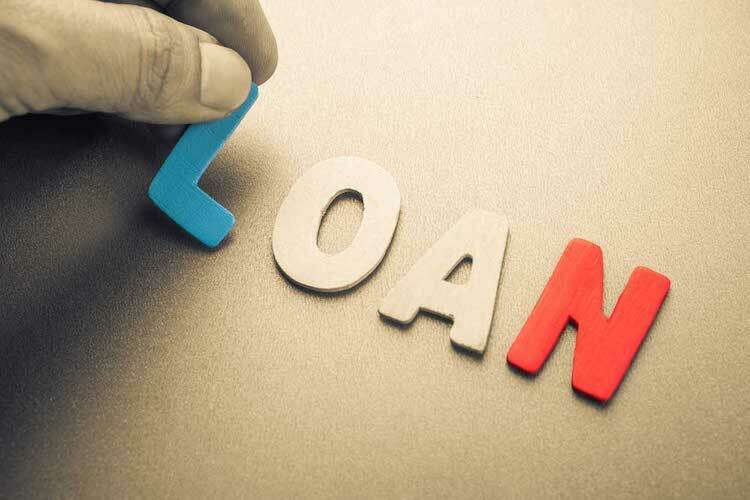 After all, it is rightly said, where there is a will, there is a way, so if a business financing is not working out for you, why not try for low interest personal loans instead? It is quite obvious that some funds then no funds is a much better deal, and here we shall explain how and when a personal loan will work for your business. How Can a Personal Loan Help Your Business? A small business owner usually considers alternative funding options than a traditional business loan, especially when capital is required at initial stages of setting up the company or at times when there is a cash-shortage. However, there are many reasons for business financing to fail. This is when business owners take a personal loan. A personal loan is usually available for salaried individuals, but it may be extended to self-employed individuals in some cases. It is not necessary the loan you take has to be utilized for a specific business purpose. You can use a part of funds as working capital, to purchase of equipment; rent a space and anything that you want for your company. Usually, banks and NBFCs would want to understand if you have knowledge of the industry and a solid business plan. They would also want to check the financial position of your business before approving a traditional business loan. However, a personal loan approval depends heavily on factors such as personal credit score, monthly net income, existing liabilities, and other factors. A strong credit score is essential, as timely credit payments give a sign of sound financial behavior. If you do not have a good credit score, you may not be able to get a personal loan for the business. Basically, lenders will check everything that is required to understand if you can repay the loan in time. As mentioned above, a good credit score is very important for approval of a personal loan for the business. No information of the business will be required for personal loan application procedure. A credit score of 700+ will be needed. In addition to the credit check, potential lenders will want to see the tax return of the last 2 years, bank statement, residence proof, identity proof, income proof etc. If you have too many ongoing loans, especially unsecured, there could be a risk of loan rejection. Thus, make sure you have minimal liabilities at hand and enough income to cover for your regular expenses so that a substantial amount is remaining, which you can use to repay a new loan. When to Take Personal Loan for Company? When seeking business financing, you must first consider a business loan. This loan is a perfect fit for funding your company. But there could be a few scenarios wherein a personal loan could be a better fit. If you do not have a well-established business history and the company is not at least 3 years old, then a personal loan is the only credible borrowing option. As personal loans can be utilized for any purpose, you can take it to finance several business functions, no matter how small or big the expense is. A common reason for a business loan to get rejected is insufficient collateral. Though today unsecured SME loans are available, there are many checks, which you could escape when taking a personal loan, as it is an unsecured form of borrowing. In case you default at payments, there will be a penalty charged. Make sure to pay the loan in time to avoid such charges. Timely repayment will also build your credit score. Another advantage of taking a personal loan for a company is that it works when you need a small amount of capital. Financial institutions are hesitant about lending small amounts as business loans. They rather provider alternative smaller loans, but these come at a very high-interest rate. A personal loan in such case is an excellent option, and the interest rates are manageable and come with flexible repayment plans. If you have an established business with a good track record and strong financial, then a business financing is a perfect option. However, all businesses are not alike, especially those that depend on particular seasons and festivals. Let us not forget start-ups and businesses that are in the budding stage, a lot of finances are required to develop business ideas. In such cases, a personal loan is a valid route to pay for your business needs. A personal loan will work wonders for your business requirement if you really need funds and a business loan is unattainable.